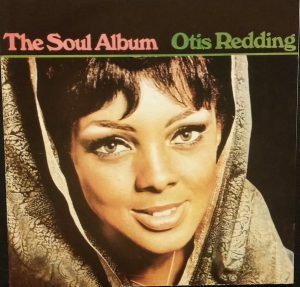 If Otis Redding’s 1965 land album Otis Blue has been feted over and over again in the intervening half-century, then the follow-up, 1966’s The Soul Album, has kinda been lost to history. You can see the difference in their Wikipedia pages: Otis Blue has a very long entry, with sections about the composition, recording and reception of the album, track listings for multiple versions and links to nearly a dozen reviews, all of which were written years later, of course. However, the Wikipedia page for the The Soul Album does only slightly more than declare that it’s a thing that exists, with a link to a single Allmusic review. That’s probably because The Soul Album doesn’t really have any canonical Otis Redding songs — it’s usually totally ignored on the single-disc compilations — but it does have “Just One More Day,” which picks up right where the Otis Blue left off: Otis missing his water and still scheming on how to quench his thirst. “Just One More Day” is another slow burn, featuring an absolutely gorgeous horn fanfare as an opener that sets up Steve Cropper slowly turning his guitar in circles while Booker T. Jones trills on a organ as Otis begs, pleads and shouts for just one more day. I mean, how difficult could that be? Just one more day, and then, they’re done forever. But that’s of course, not how “one more day” works. Because that day ends. And you know what happens after that, don’t you? So of course, its a desperate feint: Otis assuming that if he gets one more day, he can turn it into forever. And with Al Jackson, Jr’s drums and Duck Dunn’s bass continually rising and falling trying to help Otis out, “Just One More Day” takes on an unexpected grandeur, an almost epic sadness as once again you know that no matter how much he asks, no matter much he cries, Otis ain’t ever gonna get this day.